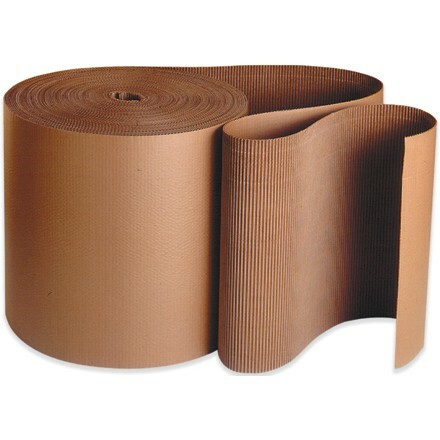 Corrugated Roll is used as packaging protection for items being shipped or stored away. The grooved roll comes in a range of sizes offering protection for the smallest to the largest of goods. It can be easily cut to size allowing you to use as much or as little of the roll you need. The roll is ideal for weaving between products being packaged to keep them separate from one another and to prevent them from moving around too much. Corrugated Roll is made from high quality 100% recycled cardboard. It is strong, robust and reliable making it one of the most favoured forms of packaging protection.